You were on duty on 1st April 2009 in the vicinity of Cornhill and the Royal Exchange Buildings in the City of London. At about 7.00pm you took it upon yourself to join a cordon of 20 other police officers including six police dogs tasked with clearing the pedestrian area that makes up the Royal Exchange Buildings. c) such dangerous actions inadvertently causing or contributing to the death of Mr Tomlinson on 1st April 2009. The misconduct hearing was held under the Police (Conduct) Regulations 2008 Under Regulation 35, dismissal without notice is the harshest penalty which may be imposed. The inclusion of the reference to causation in the Regulation 21 notice may have engendered some hope that the hearing would consider it but, even if the hearing had done so, it would not be a determination of legal liability since only either a criminal trial or a civil action can decide legal liability. Criminal liability was addressed at Harwood's trial and he was acquitted of manslaughter. There are few, if any, grounds for satisfaction in this case. There was the initial decision not to prosecute but this was changed after the Coroner's court decided that the death was "unlawful killing." At his criminal trial, Simon Harwood was acquitted of manslaughter. The Coroner's Court returned a verdict of "unlawful killing." In law, that is not a finding of legal liability since Statutory Rules applicable to inquests prevent Coroners from framing a verdict in such a way as to appear to determine any question of - (a) criminal liability on the part of a named person, or (b) civil liability. See The Guardian 19th July 2012 - Ian Tomlinson's family faced with two contradictory verdicts. This situation is an inherent possibility in any system which divides up the the determination of criminal liability across various courts. Criminal liability decided by Crown Court or Magistrates' Court; civil liability decided by the High Court or County Courts and Inquests into deaths (Coroner's courts). The first pathologist to examine Ian Tomlinson was Dr "Freddy" Patel - see BBC 23 August 2012 and also the findings of the Fitness to Practice Panel of the Medical Practitioners Tribunal Service. The Fitness Panel directed that Patel's name be removed from the medical register. PC Harwood’s return to the MPS in 2004, despite the findings of an investigation by the MPS some three years earlier that he had a case to answer for serious misconduct, raises concerns about MPS vetting procedures and decision-making, including in the movement of officers between uniformed and civilian roles. While this did not form part of our investigation the MPS should ensure that its procedures in this area are properly tightened. "Simon Harwood does not reflect the professionalism of the majority of officers working in public order, often in the most difficult of circumstances. I hope that this one officer's actions in 2009 does not taint the public opinion of officers who have worked tirelessly this year supporting events such as the Jubilee and of course the Olympics." The Tomlinson family have criticised the hearing calling it a "whitewash" - see G20 Death: Family condemns Whitewash They are particularly critical of the decision not to consider causation. 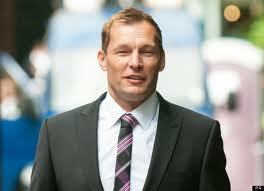 27th July 2010 - Ian Tomlinson death: Disciplinary hearing - will it be in public? Charles de-Menzes – Ian Tomlinson – Pathologist Dr Shorrock – more controversy! It’s being claimed there have been several cover-ups involving the police, the University Hospital of North Staffordshire [UHNS] and the two pathologists Dr Kolar for the prosecution, and Dr Shorrock [seen above] for the defence who carried out the post-mortem on the body of murdered Glenn Hollinshead back in May 2008. Dr Shorrock concluded a ‘second weapon’ was used to kill Glenn, following the strange case of Sabina Eriksson, the other half of her twin sister Ursula, who in a joint enterprise and suicidal attempt on the M6 motorway on the 17th May 2008, ran out into the oncoming traffic with Ursula being ploughed down by a 40 ton lorry, alongside Sabina being knocked into the air like a rag doll as she dived into the path of a hurtling Silver VW Polo. Dr Shorrock states: “...I cannot completely exclude the ‘possibility’ that ‘there was more than one [weapon].’ On page 8, paragraph D, he further states: “...The wounds are all consistent with having been caused by a knife. The ‘only one’ whose dimensions are likely to accurately correspond to those of the causative weapon is (No2).” ‘...the only one’ being wound No 2, is the wound to the heart. This evidence wasn’t discovered until recently in August 2012, it was never produced or heard in court and until now. After 16 months of maintaining her innocence for murder, Sabina then pleaded guilty to ‘manslaughter’, due to ‘diminished responsibility’ and received 5 years in prison. She was released after two years and then returned to Norway in early 2011. Despite the twins crazed actions, and that they were first arrested under Section 136 of the 1983 Mental Health Act, this evidence was then edited out of the BBC Madness in the Fast Lane documentary in 2010, so was also never known about by the millions or people who have watched this film. More importantly, the Hollinshead family never knew of this evidence, and as a direct result are now taking legal action against the police and UHNS. Sabina was released from hospital only after 5hrs following this incident. It’s then alleged Sabina went on to meet Mr Hollinshead after a chance encounter in the street, and that she ended going back to his house and where it’s claimed she then stabbed and killed him. Dr Kolar and Dr Kenneth Shorrock come from the ‘same stable’, so to speak; they come from the same office. Dr Shorrock is the same pathologist who incorrectly recorded in his report in July 2005 that Jean Charles de Menezes jumped over a barrier before “stumbling” down an escalator in the moments before police officers shot him. It was then proved this never happened. Shorrock said he was not sure who told him de Menezes had “vaulted” the barrier before he was shot.